Oh, have I got a fun idea for you! 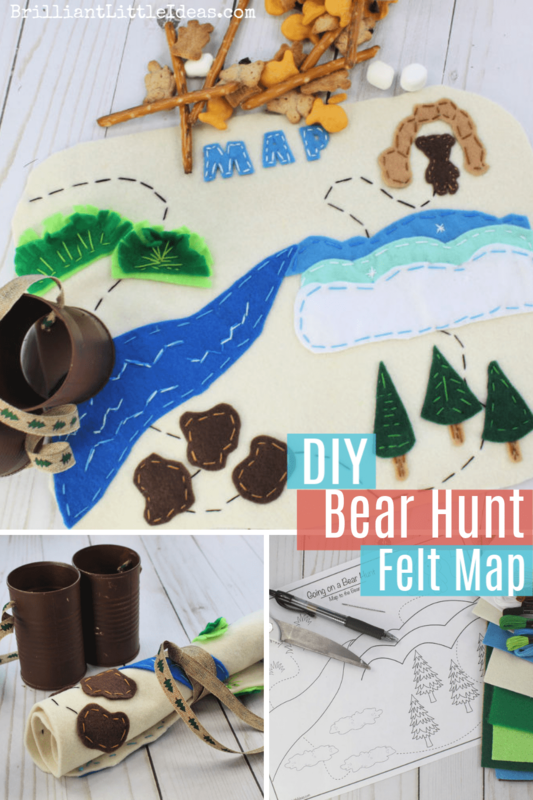 So I made a Printable Bear Hunt Map and turned it into a Felt Bear Hunt Map! Best of all you can either glue or sew it. 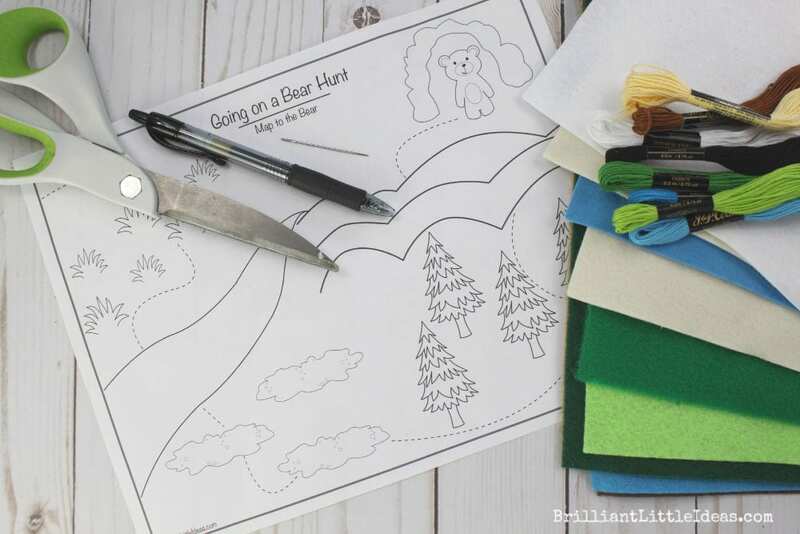 I made this Going on a Bear Hunt Printable Map for our Bear Hunt Theme and for some reason decided to turn it into a felt map. However, I turned out to be an amazing idea! Seriously! My kids went nuts over it. 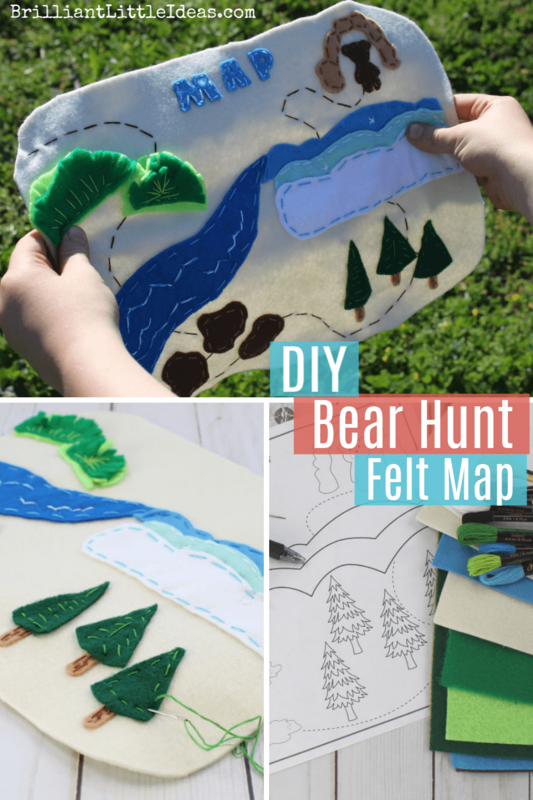 You can make it for your kids or (if they’re big enough) let them create their own map to the bear. 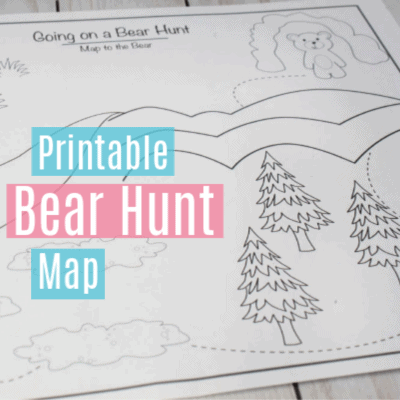 Print the Bear Hunt Map (on this page), then cut out one tree, mud puddle, and grass. 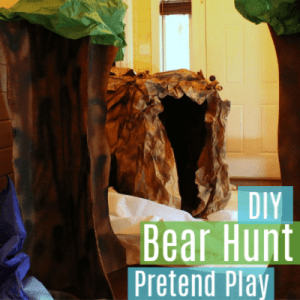 The Bear, cave, snow, and river will all need to be cut out. 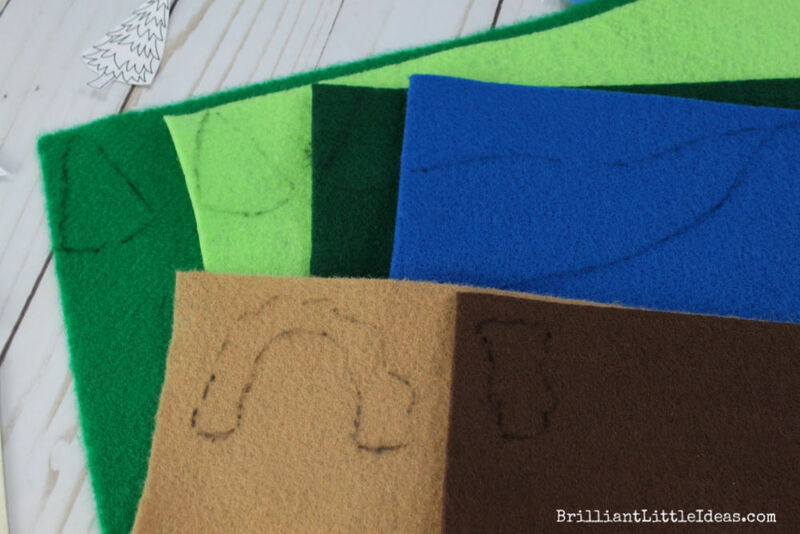 Find the colored felt you want and trace around each piece. It doesn’t need to be exact, just wing it and I’m sure it will look fine. 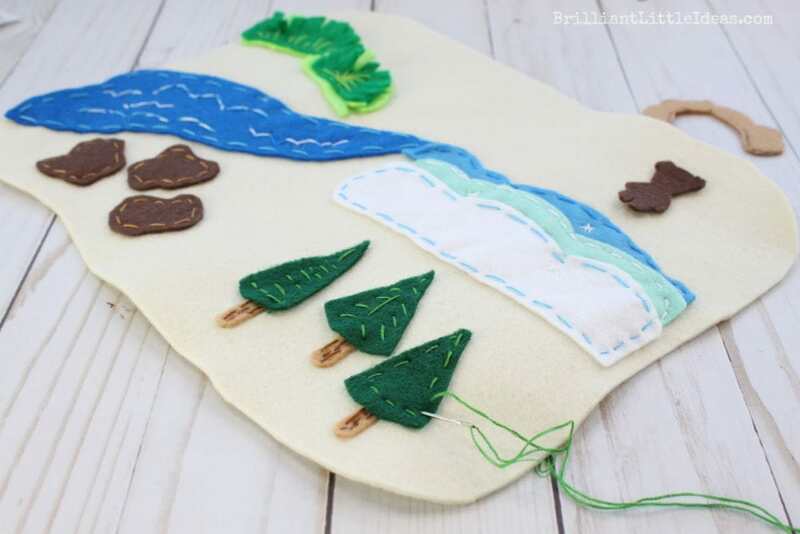 I made my grass and mud totally different than the printable map. 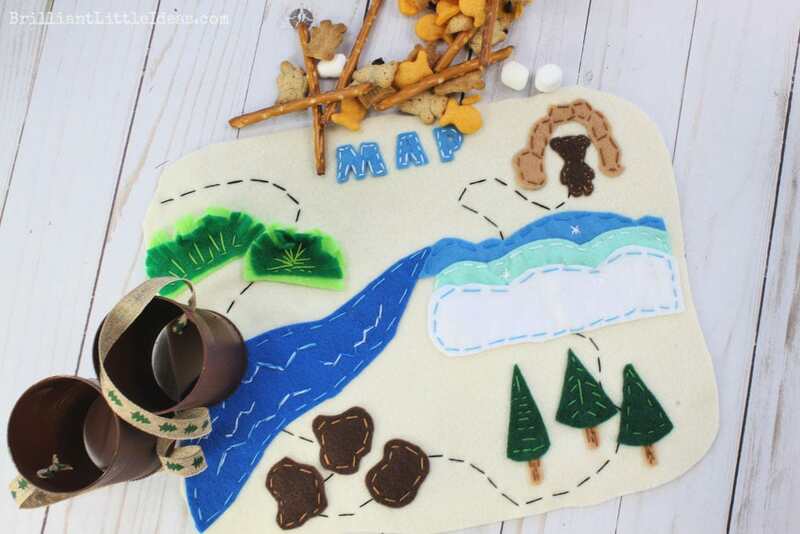 Place your cutouts wherever you want on your base felt map. See below. 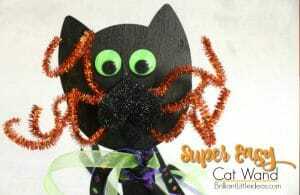 GLUING: If you would like to get it done relatively quick by using this Felt Glue. 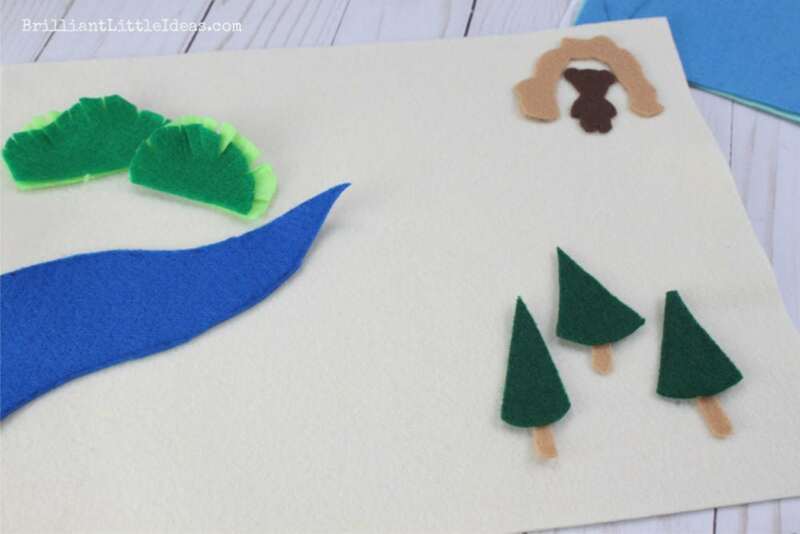 Just add a dab to the back of each piece and glue to your base felt piece. 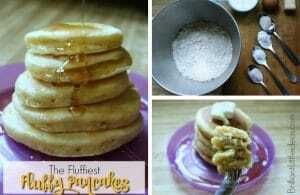 Make sure to let it set at least 12 hours to ensure the glue sticks. 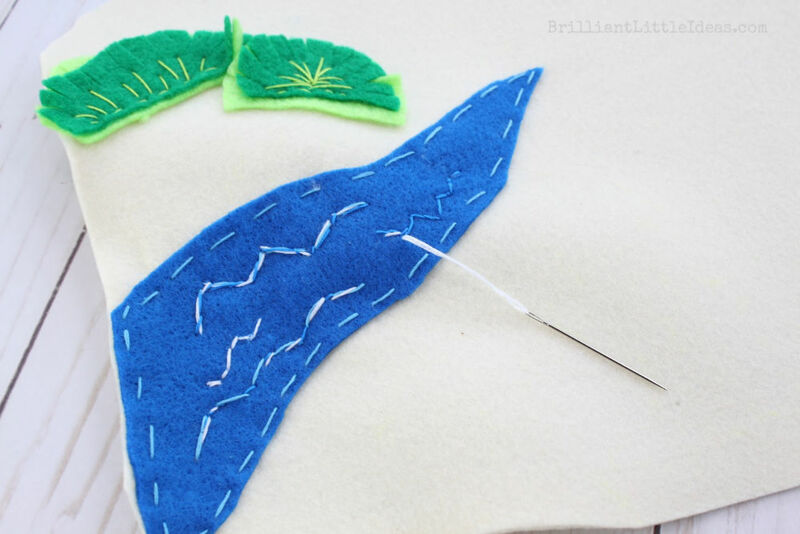 SEWING: Using your embroidery thread & needle, sew on each piece. 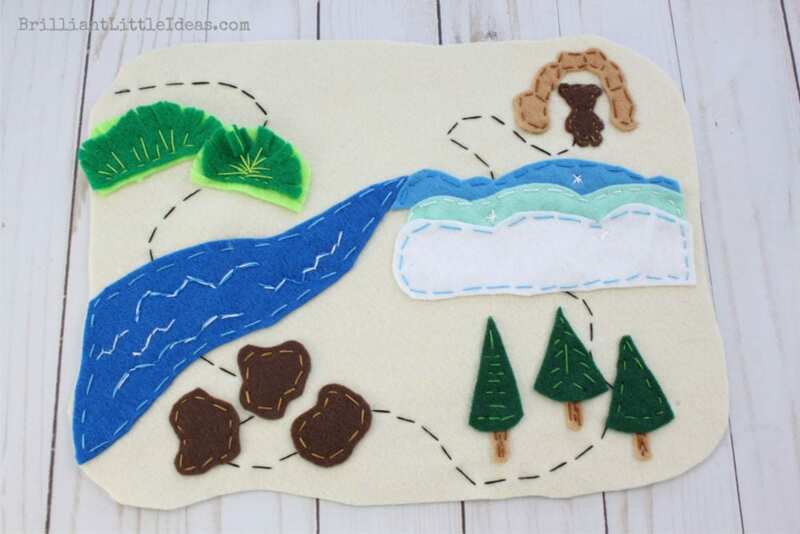 You can add a little extra thread to make it pretty or just sew down the edges. 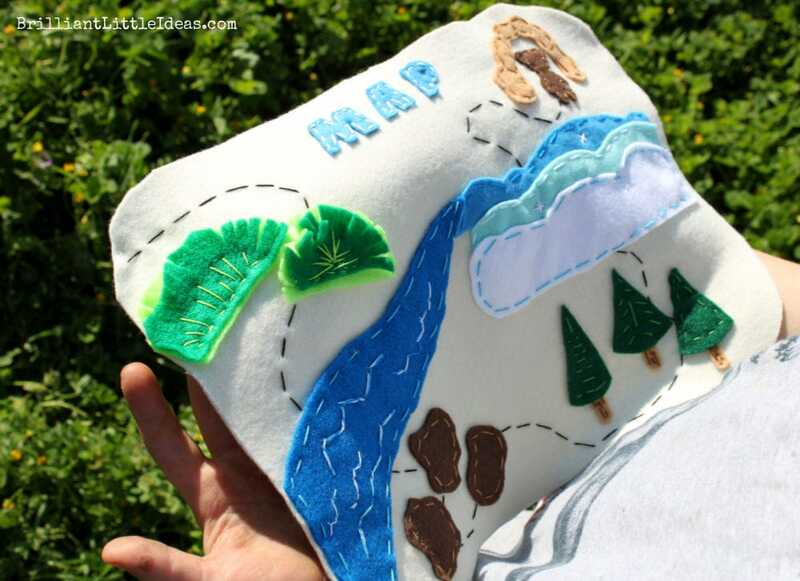 All of this map was sewn on my hand. I think my favorite is the grass. 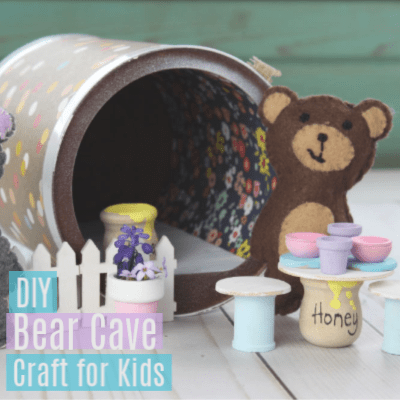 I love 3d things, especially for kids. 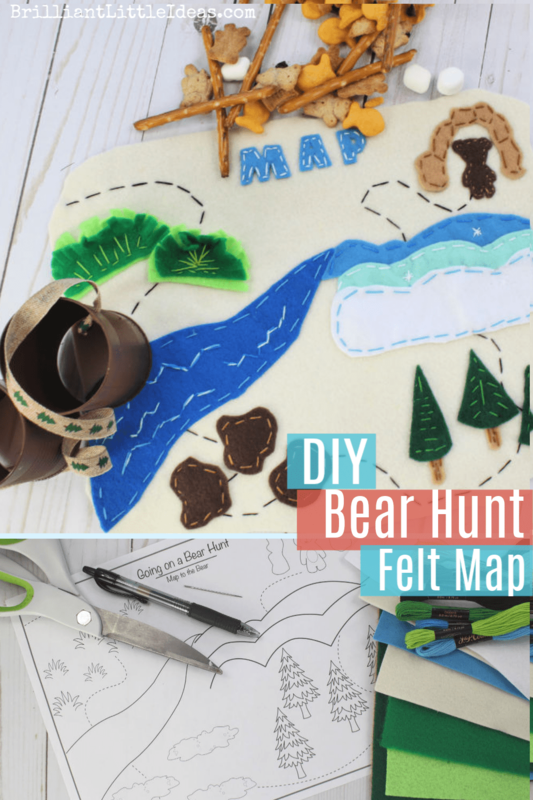 They loved to be able to touch and play with the map and to trace the path to the bear. Almost done. 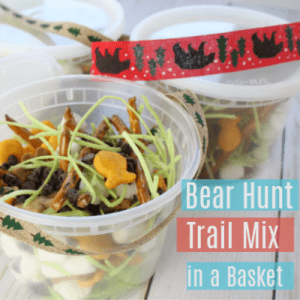 The path to the bear is complete but it looked a little bare so we decided to add MAP to the top. 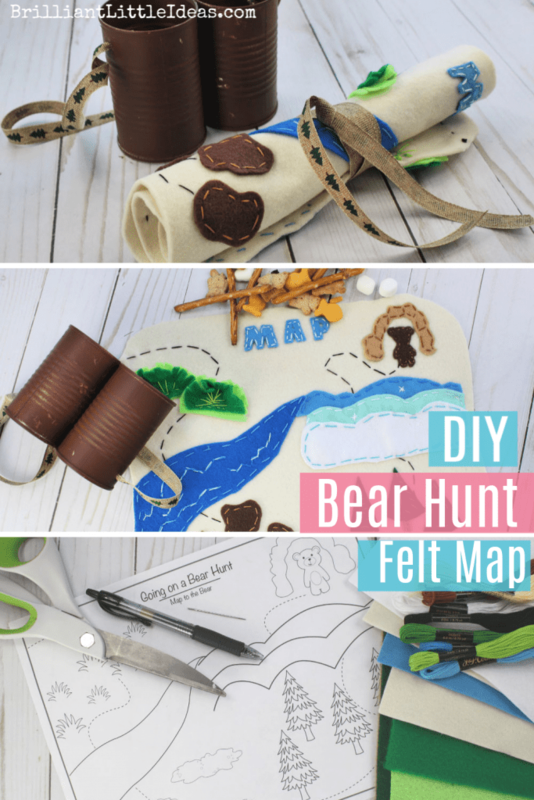 I originally made the letters MAP way to big for the top of the Bear Hunt Map so it had to be changed. OOPS! I really love the finished map. The colors really POP! 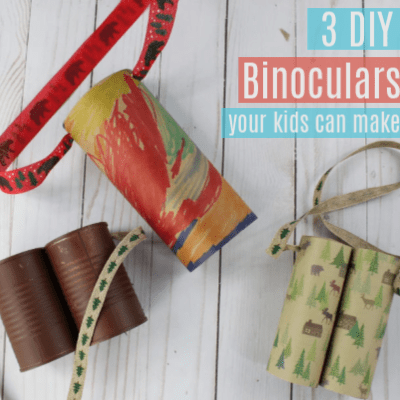 Fun Idea: Take your kids on a nature walk with the map, this Bear Hunt Trail Mix and these 3 DIY Binoculars. Our walk was definitely memorable. I’m glad we were outside because those kids needed to run off all that sugar! Ryker told me I was lost a couple of times. That was pretty amusing since I could still see the house. 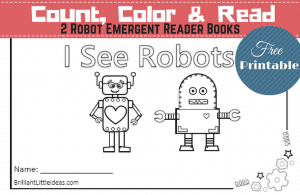 Kids imaginations are the best. That’s why I love them! 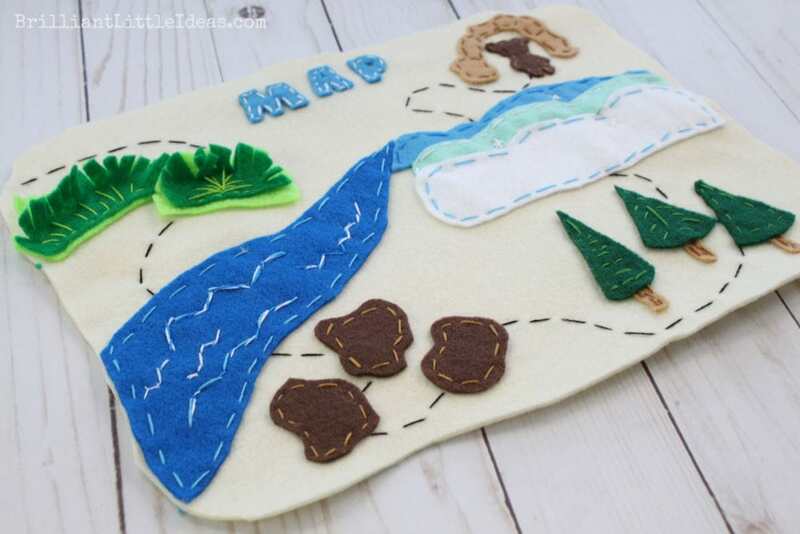 Have you made a felt map before?